You are at:Home»iPhone»Power»How To Turn On iPhone: The Fast & Easy Guide! How To Turn On iPhone: The Fast & Easy Guide! If you need help turning on your iPhone, you’re in the right place. Turning on an iPhone can sometimes be tricky, especially if you’re a beginner or if you’ve recently upgraded to a new model. In this article, I’ll show you how to turn on an iPhone! iPhone SE and earlier: Press and hold the power button on the top of your iPhone until the Apple logo appears on the center of the display. iPhone 7 & 8: Press and hold the power button on the right side of your iPhone until you see the Apple logo flash onto the center of the screen. iPhone X: Press and hold the side button on the right side of your iPhone until the Apple logo appears on the center of the screen. My Power Or Side Button Is Broken! Even if the power button or side button is broken on your iPhone, there is a way to turn on your iPhone. Your iPhone is designed to turn back on when you connect it to a power source, even when it has no battery life left. First, plug your iPhone into a charger using a Lightning cable. Shortly after, the Apple logo will flash on the screen and your iPhone will turn back on. If you want to get your iPhone repaired, check out our article on how to fix a broken power button or a broken side button. My iPhone Isn’t Turning On! 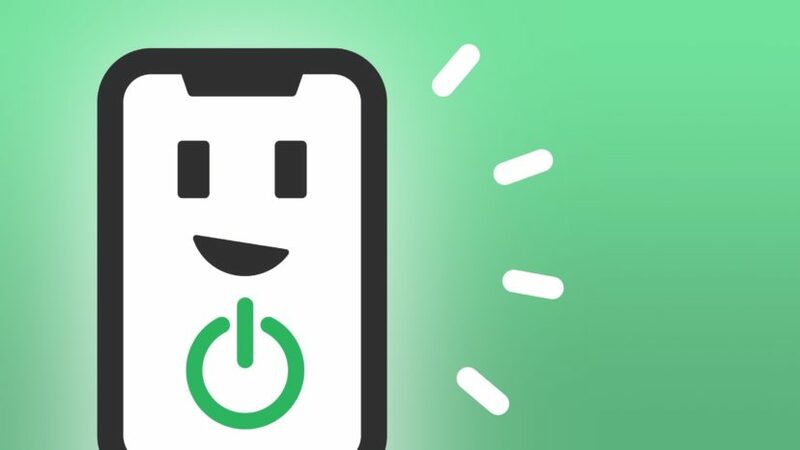 Check out our article if your iPhone still isn’t turning on after you’ve pressed and held the power button or side button. Your iPhone’s software or charging components could be preventing it from turning on! Turning On iPhone: Made Easy! You now know how to turn on an iPhone! Make sure to share this article on social media with new iPhone owners that you know. If you have any other iPhone questions, leave them below in the comments section! Previous ArticleCan You Fix A Broken iPhone Screen? Here’s The Truth! Next Article What Is “Other” In iPhone Storage? Here’s The Truth & How To Delete It!